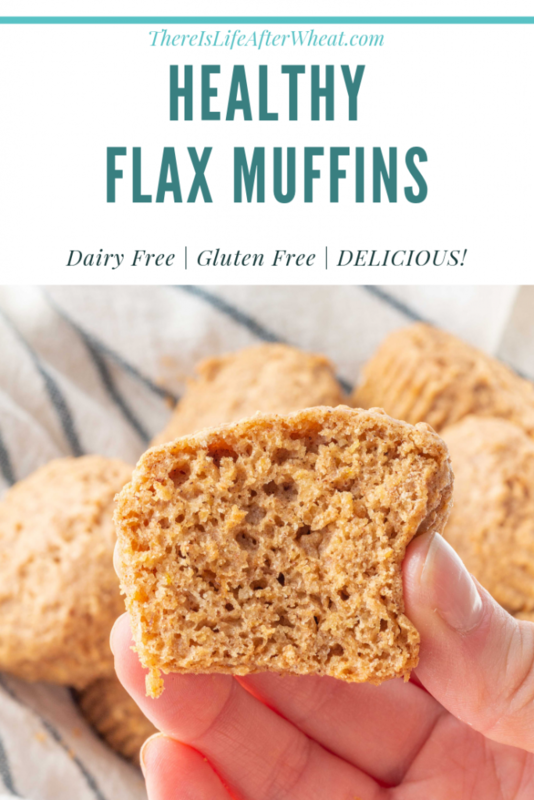 Flaxseed muffins are a tasty way to add flaxseed into your diet! 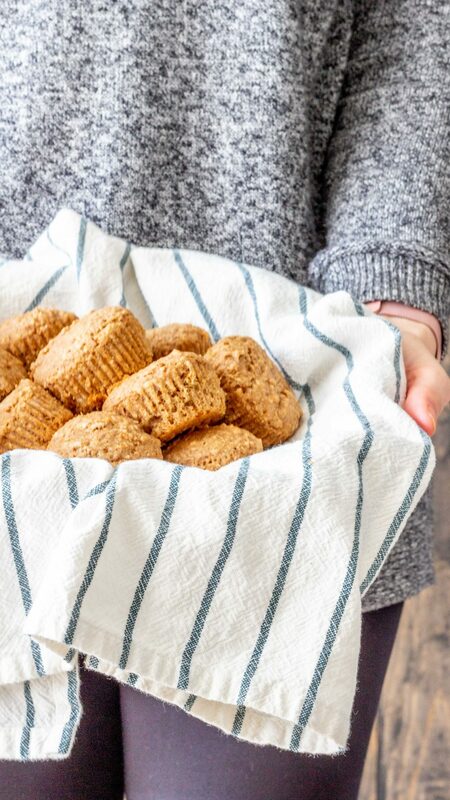 Packed with wholesome ingredients, flaxseed muffins are a recipe the whole family will enjoy. This recipe is gluten free, dairy free, vegetarian, and DELICIOUS. 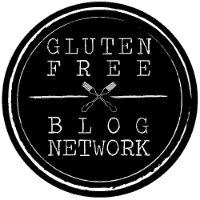 ***Please note that all our recipe posts contain detailed information about how to make the recipe so you achieve great results – this is not your average blog post and doesn’t include stories or other info you don’t need! We have made it easy to find the sections you need and skip the ones you don’t by using headings. Flaxseed is a nutritional powerhouse with many health benefits. is a good source of dietary fiber, protein, and iron. 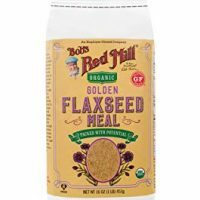 Just 2 tablespoons of ground flaxseed packs 11% of your daily fiber requirement, 3 grams of protein, 6% of your daily iron intake, plus some healthy omega 3’s. According to the Mayo Clinic, most nutritional experts agree that ground flax seed provides more benefits than whole flax seeds because it is more easily digested. Ground flaxseed can improve digestive health and may lower blood cholesterol levels, making it a great addition to you diet! Because flaxseed absorbs liquid, you’ll want to be sure you drink plenty of fluids when adding it into your lifestyle. Luckily, adding ground flaxseed into your diet is super easy! There are many ways to enjoy it in recipes or as a topping. 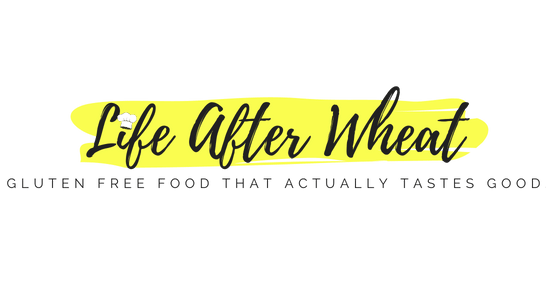 Flaxseed is naturally gluten free, but be sure to check the labeling for a gluten free statement and/or certification because of cross contamination. 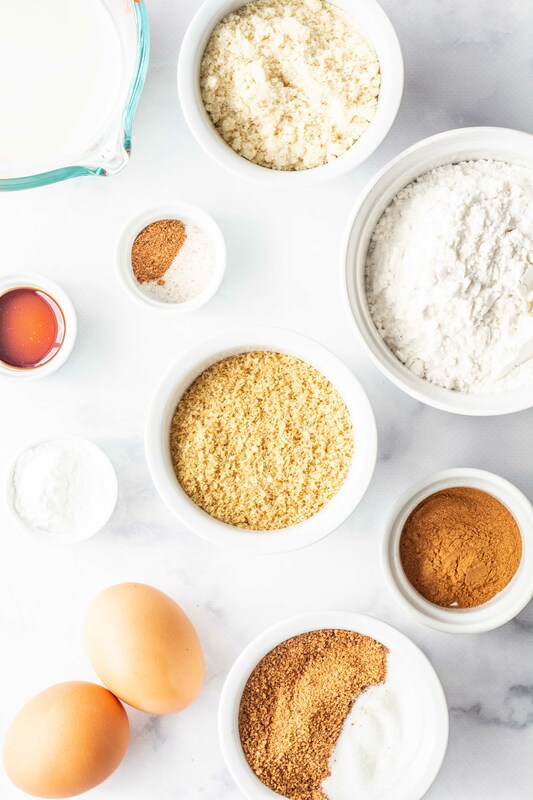 Make recipes like the Flaxseed Muffins below! Add a tablespoon of flaxseeds or ground flax to your favorite smoothie. Sprinkle ground flaxseed onto yogurt or your favorite cereal. Try adding 1-3 tablespoons of ground flaxseed to your favorite bread or muffin recipes. 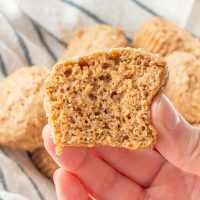 We love adding some to this Gluten Free Sandwich Bread recipe! 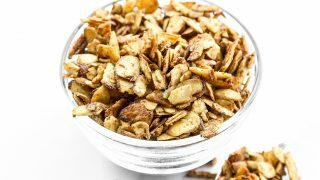 Can I add flaxseed to muffins? Absolutely! Be aware that flaxseed absorbs a lot of liquid. 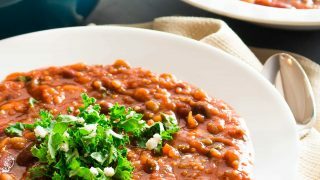 This means you’ll only want to add a tablespoon or two of ground flaxseed to your recipe, or use a recipe such as the one below that is developed to include flaxseed without becoming dry and crumbly. We absolutely LOVE muffins at our house! Why??? First off, muffins are great for on-the-go eating, something our family needs more and more as time goes on! 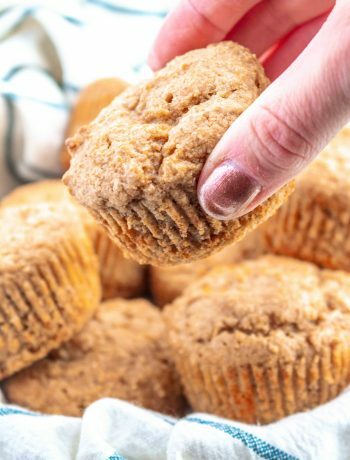 We love to keep muffins on hand for easy breakfasts, after school snacks, and any other time we need to grab something quick to eat on our way out the door. They are also super easy to make healthy and gluten free. 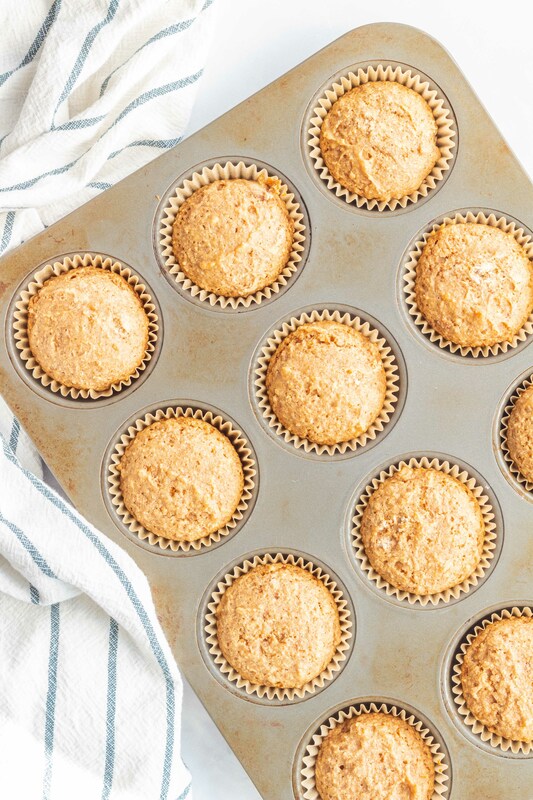 Muffins are great for breakfast, school lunch, and more! These flaxseed muffins are also great for school lunches because they have protein, fiber, healthy fats, and low-glycemic coconut sugar, meaning their blood sugar won’t spike and fall causing an afternoon slump. 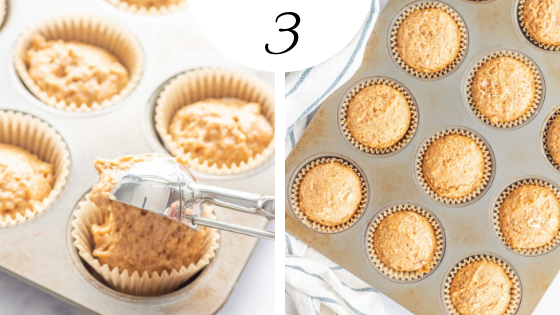 These muffins will keep your kids going and are a great way to start the day! 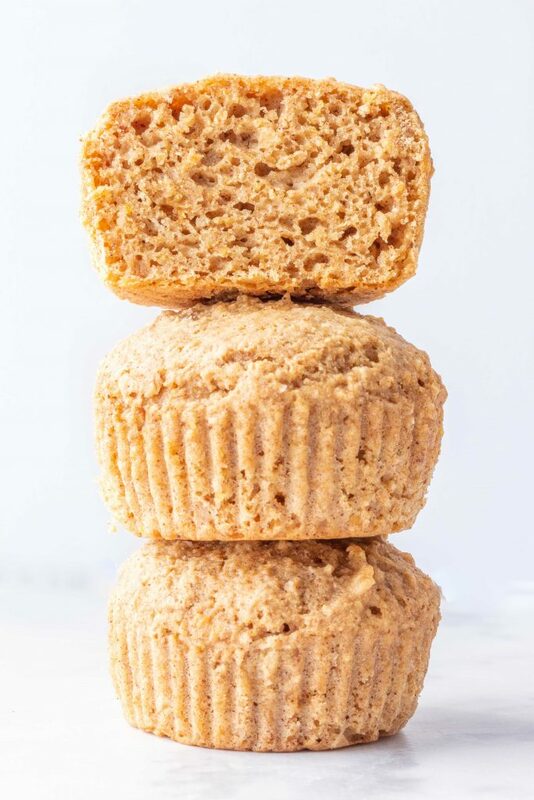 To make these muffins gluten free, you’ll want to be sure all your ingredients are labelled gluten free. 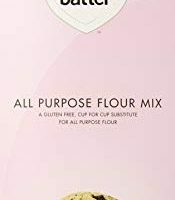 Be aware that some brands of almond flour are packaged in the same facility as wheat products – always read labels and look for products that say “gluten free” and/or are certified gluten free. Certified gluten free means the product tests at below 10 ppm of gluten, which is half the ppm allowed in products just labelled “gluten free”. 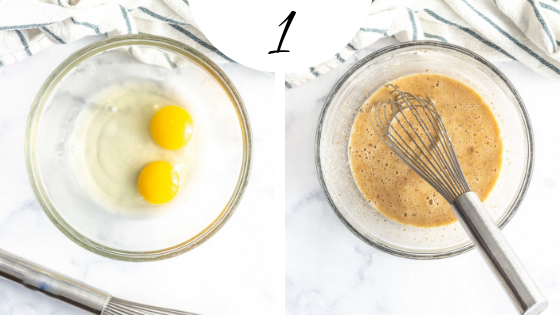 Whisk eggs, then add remaining wet ingredients and whisk until smooth. Add dry ingredients and stir or whisk just until smooth. 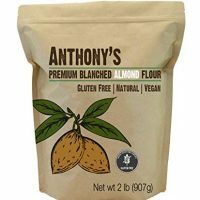 Almond flour is notorious for lumps, so whisk it separately before adding to your muffins to avoid lumps or over-mixing. As you can see in the photo, the muffin batter will be somewhat thick, but easy to scoop. If you notice that yours is too thick, add a tablespoon or 2 of milk. If it looks too thin, add a tablespoon or two of gluten free flour. Divide the muffin batter between 12 muffin cups. 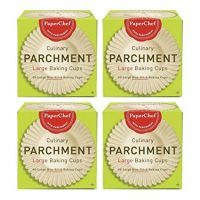 we love using these parchment liners because no matter what kind of muffins we’re making, they never stick. We order several boxes at a time on Amazon so we never run out. Bake until the muffins bounce back when you tap them, or until a toothpick inserted in the center comes out clean. Allow to cool for a few minutes, then serve! If you have leftovers, store them in an airtight container at room temp for a day, or freeze what you won’t eat in that amount of time. If you put leftovers in the fridge, they will get crumbly. We like to freeze them individually on a cookie sheet for 30 minutes to an hour, then put them all in a freezer bag. This will keep them from sticking to each other and make it easy to pull one out any time you want. 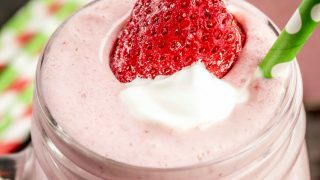 A creamy yogurt-based smoothie that is easy to make! 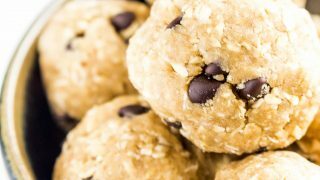 These energy bites are quick and easy to make, and taste like cookie dough! Perfect for topping salads, yogurt, and cereal, or simply for snacking. >>>We would love for you to leave a 5 *star* rating below if you loved this recipe. Leaving a rating helps others find this recipe – thanks for sharing the gluten free love! Finally, a healthy muffin that tastes great! These flax muffins are made with wholesome ingredients and are gluten free, dairy free, and easy to make. 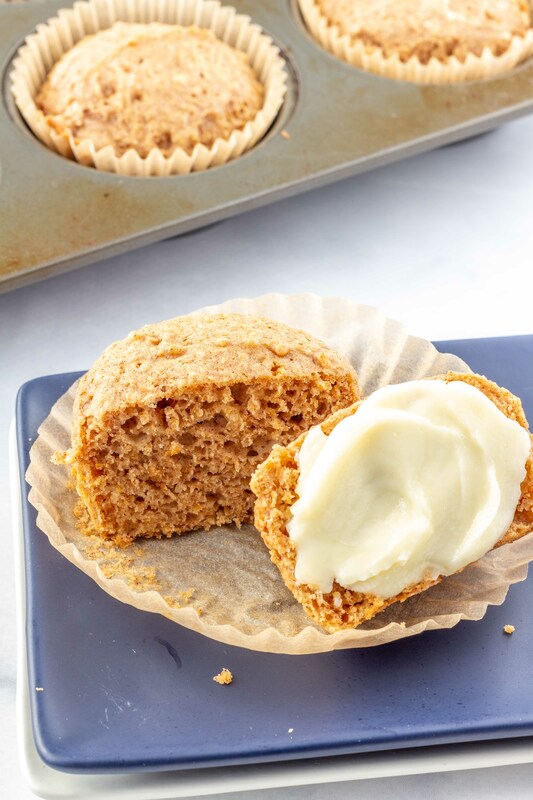 Line a muffin tin with liners (I absolutely love these parchment liners) or grease well. Set aside. 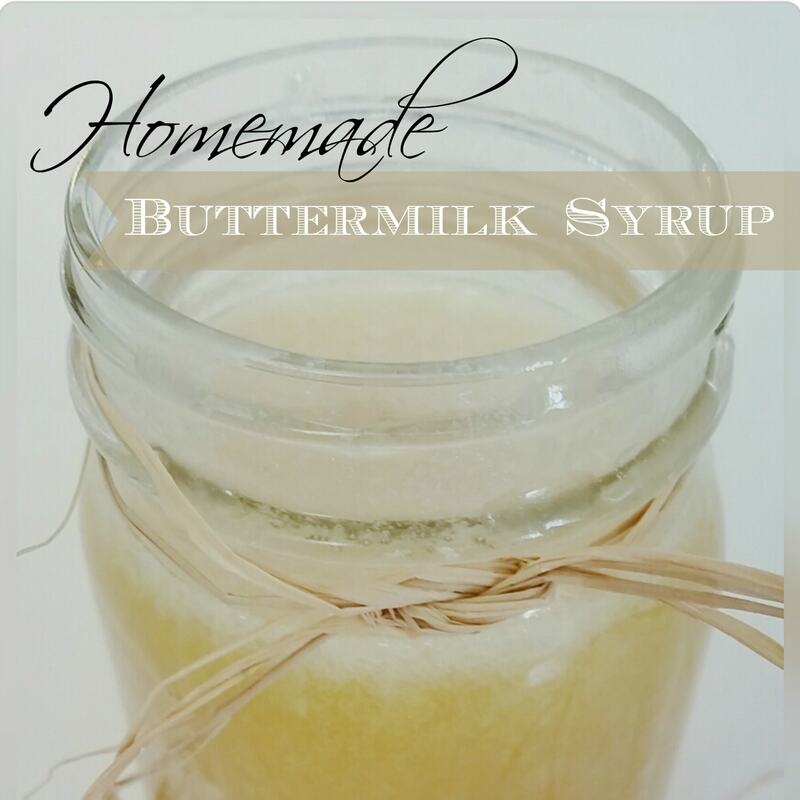 Add milk, vanilla, sugars, and oil and whisk until smooth and combined. Add remaining ingredients and whisk just until all ingredients are combined. Divide batter evenly between twelve muffin cups using a large cookie scoop or a spoon. Bake muffins for 15-17 minutes, until a toothpick inserted in the center comes out clean. Cool and enjoy! You can store at room temperature for one day, or freeze for later. We have tested this recipe with Better Batter and Grandpa's Kitchen flour. 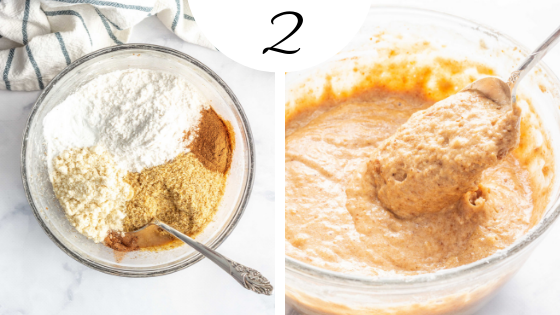 Both worked great, and your favorite flour should work as well. If you don't have coconut sugar or cannot tolerate coconut, substitute brown sugar. I absolutely love flaxseed! And I love that you didn’t use it as an egg replacer here, but as the star of the show instead. I’ll have to try these! Another fan of flaxseed right here and a true blue fan of muffins! These look so airy and delicious – looking forward to giving these a try. I love muffins for breakfast! These ones turned out so moist, perfect recipe as you always deliver! I love how moist and fluffy these look! 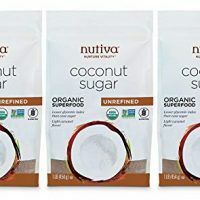 I was wondering if these could be made with applesauce instead of oil and if that would reduce the amount of sugar needed? These look so delicious! 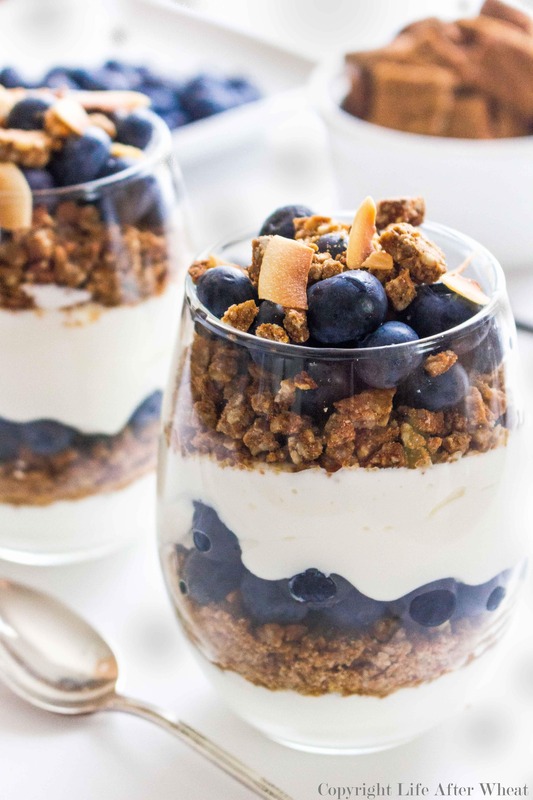 Perfect for breakfast and snacks!